(CNS): As a result of the recent and unexpected heavy rainfall for the time of year, the Queen Elizabeth Botanic Park is looking particularly lush, park officials said this week, as they reached out to the community to come and visit the facility. The park’s general manager, John Lawrus, said that the latest garden, the Xerophytic Garden, is really coming into its own now. “As we move forward into the dry season, it will continue to demonstrate a wide range of plants that can be enjoyed without supplemental irrigation,” he said as he urged ‘Friends of Botanic Park’ to renew their membership for continuous unlimited visits into the facility throughout 2014. “The Orchid Boardwalk is continually being planted with regional orchids as well as orchids that have been rescued from various sites on the island by staff members and members of the Cayman Islands Orchid Society,” he added as he reminded the public about the much loved Annual Orchid Show and sale, which is going to be held on 1 and 2 March, as well as a Friends of the Park members preview party on the evening of 28 February. 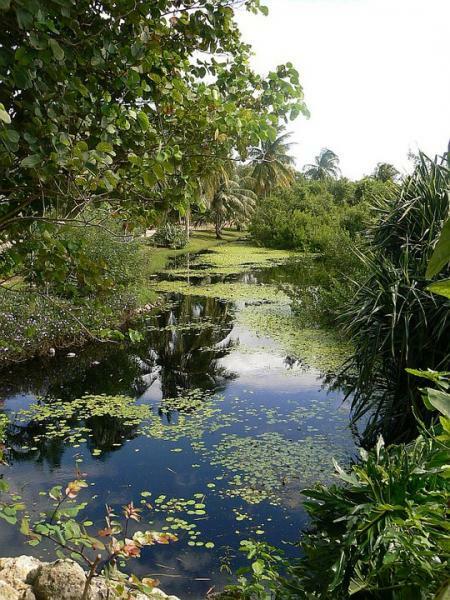 One of Cayman’s most underestimated tourist attractions, the Botanic Park is home to a wide variety of endemic, indigenous and unique Cayman flora and fauna. It is home to the world renowned Blue Iguana Programme as well as a local tree nursery, where garden enthusiasts can buy endemic and native plants for their own yards instead of reverting to imported species. For more about the park visit its website or www.facebook.com/QEIIBotanicPark. The Botanic Park is a jewel. The folks that run it are competant; they make things work. I would love to see them invited to spruce up Georgetown. They could do wonders with the grounds around the Glass House and other open spaces where tourists get their first impressions of Cayman. Bull doze central GT and turn it into a botanic park. That would be in improvement. Or just bull doze central GT. That would be an improvement too. This is the best value on the island. I always bring my family to visit here and it is constantly improving. All residents of the islands should support this attraction and join the membership.